Jewel grew up on a West Texas ranch, where she learned to rope as part of her daily work life. 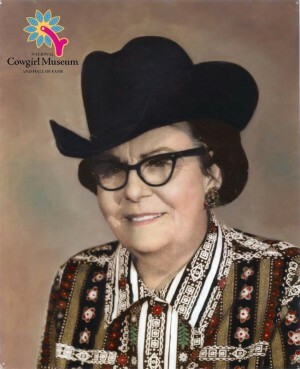 She began to rope against men in local contests, becoming the first woman to compete at the Pecos rodeo in 1929, and was rodeo queen in 1935. Jewel and her friend Isora DeRacy Young promoted themselves as the only two cowgirl calf ropers in the world. They competed against cowboys at a time when there were no women’s roping contests.